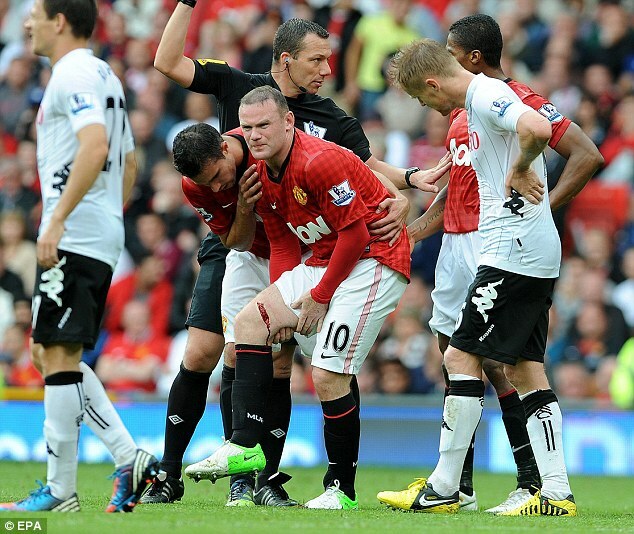 Manchester United striker Wayne Rooney has dismissed speculation he is leaving Old trafford. With the transfer window due to close on Friday, reports have suggested Rooney's future lies away from Old Trafford. United boss Sir Alex Ferguson has already insisted the England striker, currently out of action with a leg injury sustained in Saturday's defeat of Fulham, remains in his plans. However, the striker's chances of figuring in Sunday's Barclays Premier League encounter with Southampton appear non-existent because of the injury - and it seems inevitable he will also miss England's opening World Cup qualifiers against Moldova and Ukraine next month.